If you’re out of the loop, CompTIA is a leading certification body for IT security accreditation, so adding their credentials to your resume is no small change in the eyes of hiring managers. 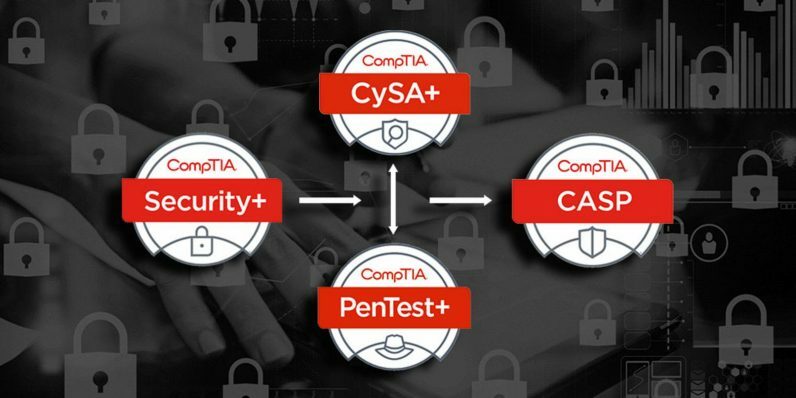 The 2019 Complete CompTIA Cybersecurity Bundle features more than 90 hours of content to help you ace 4 key CompTIA certification exams, and it’s on sale for only $49 at TNW Deals. Across these four courses, you’ll get all the training needed to ace four of the most impactful CompTIA exams: their Security+, CySA+, CASP, and PenTest+ tests. These courses will get even new IT learners up to speed on areas like cryptography, risk management, authentication and authorization, host and app security and protections for all manner of wireless, cloud and mobile interaction. This training bundle is usually a nearly $900 package, but if you get in on the limited-time offer now, you can get the entire collection for only $49.